Robert Fawcett once said, "I have a horror of ever becoming a 'name' illustrator. I have seen too many examples of a fickle public dropping such a one like a hot coal when his work becomes too familiar." If Fawcett can ever be accused of failure, it would be at remaining an unknown illustrator. 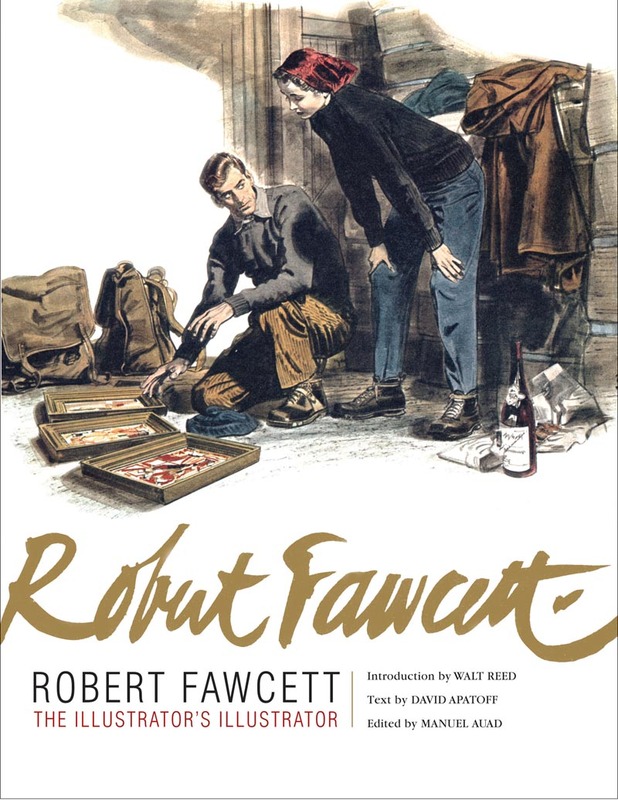 Very few artists in the last hundred years of our profession have become more of a "name" than Robert Fawcett. In time he has been bestowed the title of "the illustrator's illustrator" and you could hardly find anyone more deserving. ... but these pieces are far from the seemingly flawless later work we so admire and see most often -- reassuring us that Robert Fawcett didn't spring fully formed into the illustration business. Even "the illustrator's illustrator" had to work at learning his craft. I return to Robert Fawcett as a topic for the umpteenth time this week because I wanted to help promote a show opening on Saturday, May 22nd at Gallery Nucleus in Alhambra, CA. Those fortunate enough to live in the vicinity will be treated to the rare sight of 25 original Robert Fawcett illustrations, from the private collections of Mike Vosburg and Howard Chaykin "and a couple of other collectors in the area," according to Mike. 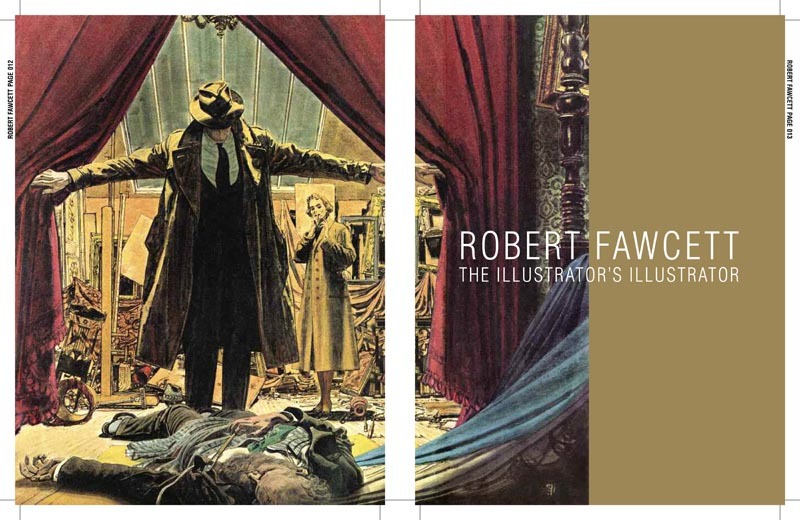 As well, I decided that this was the right time to check in with Manuel Auad, who has been editing a labour of love and one of the most highly anticipated projects in the community of mid-century illustration afficionados: The Robert Fawcett book. Manuel kindly sent along the cover scan above and this first spread below and asks that I mention the book is now tentatively scheduled for Fall 2010 release. 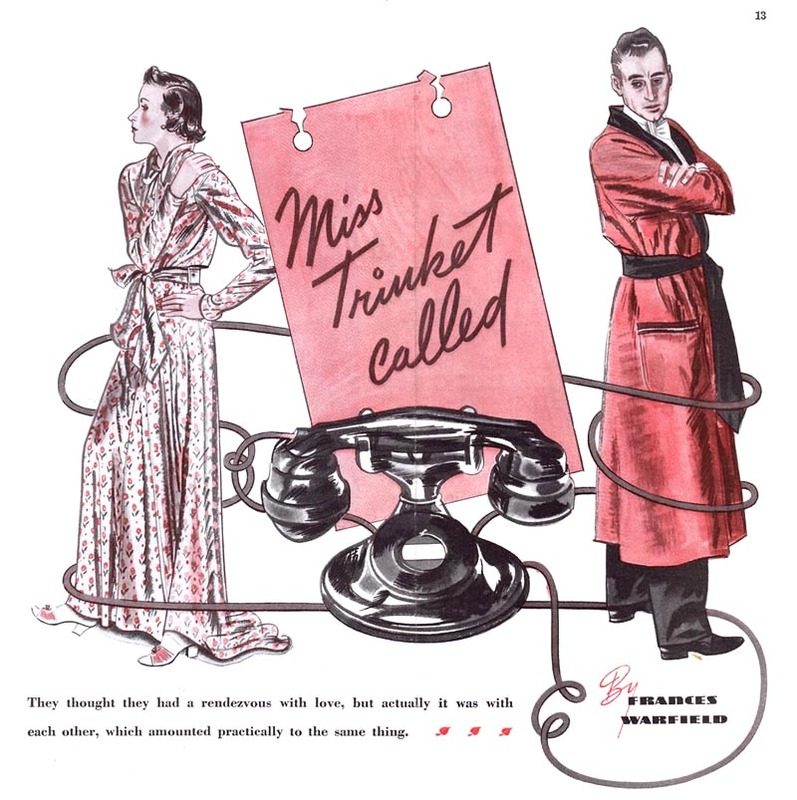 "The illustrator's illustrator" failed to remain anonymous during his long and storied career.... but the fickle public did, for a time, forget - not just Robert Fawcett - but just about every illustrator of that "last golden age." Its immensely gratifying to see such worthy talent finally returning to the spotlight to be studied and celebrated by a new generation. This week, a few more examples and some though-provoking quotes. * Many thanks to Chuck Pyle, Mike Vosburg, Howard Chaykin, and Manuel Auad for contributing art and information to this post! Can't wait for that book to come out. Thanks Leif - I never get tired of this topic. Robert Fawcett always perks my interest. Some of the stories about his brash sense of humor have become as memorable as his excellent illustrations. 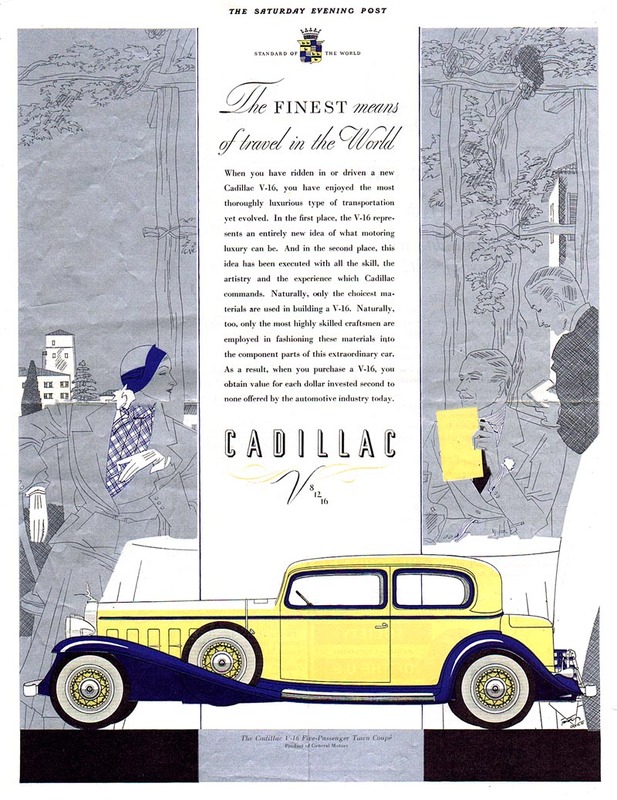 Occasionally, I come across those that recall the names and works of the mid century golden age of illustration, and before. They are usually around my age 70, or older. I also find that women are more likely to remember Jon Whitcomb over any other illustrator, with the exception of Norman Rockwell. However, probably with the help of the Internet, younger people involved in fine art and illustration today , are familiar or becoming familiar with many of the giants in illustration. Dean Cornwell anticipated the prospect of his fame being 'short lived' and forgotten as an illustrator, so he spent much of his latter years doing murals for very little profit compared to much more profitable illustration work. He felt the murals would be seen by many more people for perhaps several hundred years. Ironically, he is known more for his illustration work, than his mural work.. though at the time of his death, he was considered perhaps the greatest and most experienced muralist in America. Maybe Barbara Bradley said it best, when she commented that publishing her book on drawing was to be her legacy, but when it was done she realized her children and grandchildren was her true legacy. With respect, I dont think Fawcett was worrying about his 'legacy', he was talking about not being 'flavor of the month' this year and forgotten next year. 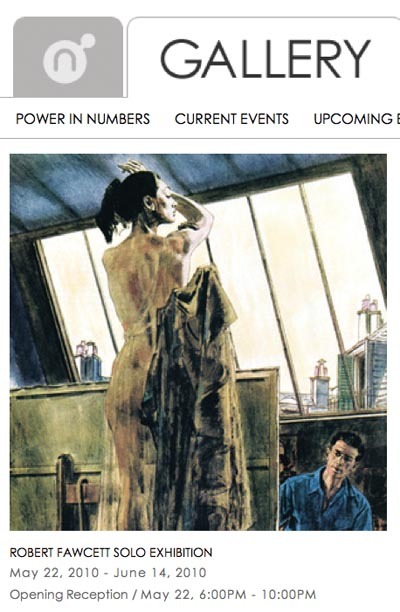 This may sound preposterous now, but he was not to know what may lay ahead at the time.And the decline in Leyendecker's fortunes , for example, would hang over the head of popular illustrator's like a sword od Damocles. I'm always interested to see the early work of illustrators as it shows how much thought and work goes into developing their signature style. Austin Briggs run on Flash Gordon was awful, as were a lot of early Frazetta strips. 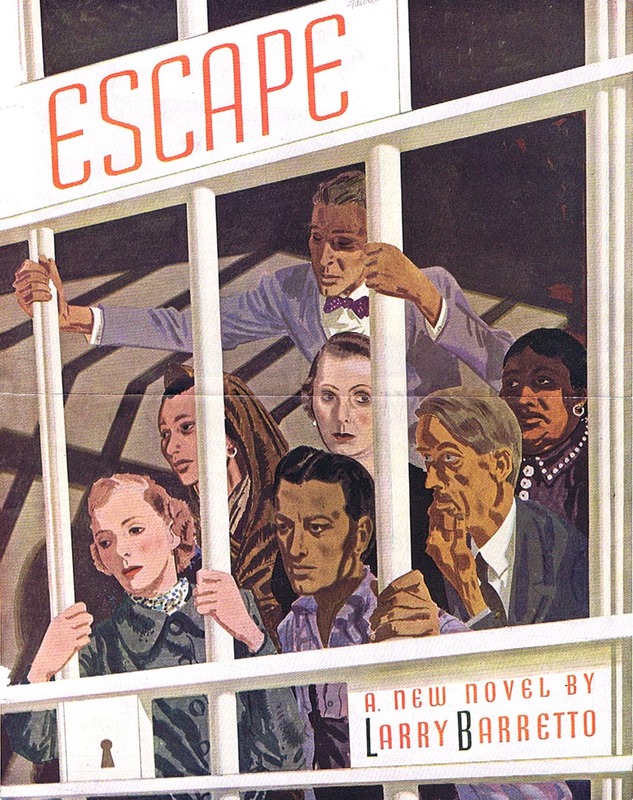 Chad, I don't disagree with you, but perhaps I should have prefaced my comment with Leif's significant quote, "..but the fickle public did, for a time, forget - not just Robert Fawcett - but just about every illustrator of that "last golden age." Its immensely gratifying to see such worthy talent finally returning to the spotlight to be studied and celebrated by a new generation." When you are no longer 'flavor of the month', chances are your flavor is also no longer remembered in the future after your demise. I don't know if Fawcett was concerned about his legacy as an illustrator, or only concerned with maintaining popularity with the public in his lifetime. I suspect he wanted to be a chocolate flavor, which would more than likely always be popular with most of the public, generation after generation. 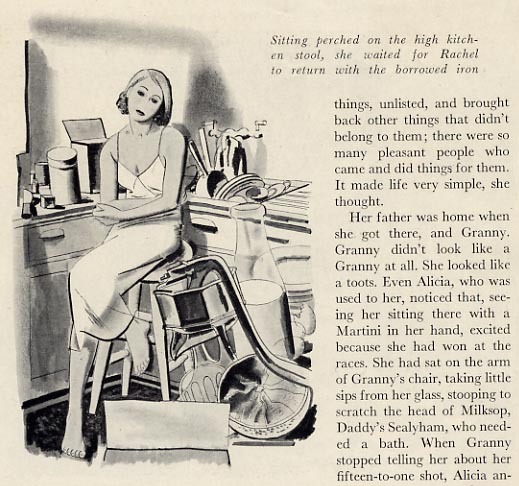 Hence, his illustrations, unlike Al Parker or Austin Briggs, remained traditionally conservative in his approach and technique. I dont think we're too far apart on this.As an illustrator, one can only hope to be remembered in a YEARS time, let alone an epoch. Stepping back a bit from self-interest, you could ask does anyone working in an ephemeral industry have the right to be remembered 50 years later? After all the current interest in mid-century illustration could just as easily be a cyclical revival to be replaced by an interest in the pop art style of the sixties. We are all part of a continuum and interests move in cycles.No doubt the development of the internet and excellent forums such as this has greatly assisted the process. Humph! I had written a lovely long reply to Chad's initial comment and Blogger crapped out on me as I hit 'Publish' - now I don't know if I'm up for trying to rewrite the whole thing. However - I did want to say thanks to you, Chad, for returning to commenting here - welcome back! - and to Tom for, as always, his learned insight. Thanks as well to everyone else who takes the time to comment - it makes the effort of assembling these posts all the more gratifying when you share your thoughts and opinions. I think the idea of 'name' is a two-sided coin. Recognizable style on one side, and legacy on the other. By the time Fawcett made that comment about dreading the thought he might become a 'name' illustrator, it was probably already too late - by 1946 his career was firmly established. After all, only a year later he would become one of the founding faculty of the Famous Artists School. I also think 'flavour of the month' would have been measured in decades, not months back then. (Without the tyranny of the Internet, people could actually focus their attention on one artist's work for more than a nanosecond before moving on to a millionbillion other visual delights). If Fawcett's main concern was being branded as such, he still would have enjoyed a long and successful career before being toppled by the next flavour. I suspect he was being somewhat ingenuous when he made the remark I quoted. I should add context to that quote by admitting right here that Fawcett prefaced his remark with "There is little chance of it ever happening to me, but..."
This book on Fawcett coming out is such great news. For many years I thought, and still do, he is possibly the best illustrator ever, at least from my point of view and what I believe illustration should be about. Also, these text lines out of an interview with him that you are posting here are exceptionally interesting.